Summer...just the sound of that word puts a smile on my face and a skip in my step. 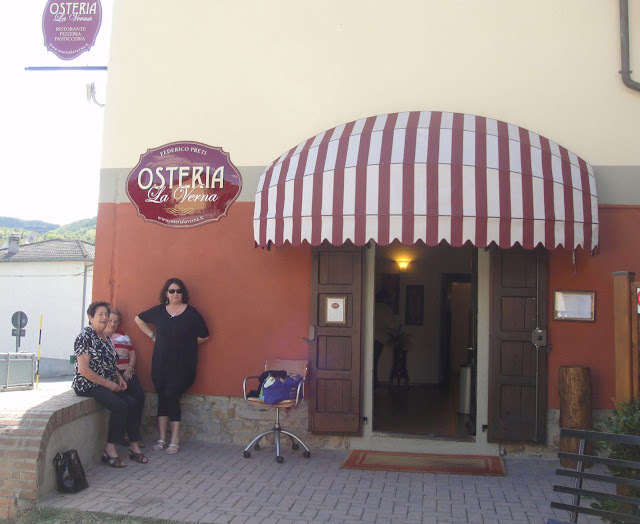 Each summer I travel with my 2 sons, Gianluca and Massimo, and my husband, Fabrizio, to his hometown village in northern Italy. Three glorious weeks in the land of food, wine, laughter, and family! My husband was born in LaVerna which is where my mother-in-law, Caterina lives half of the year (the other half she lives with us). 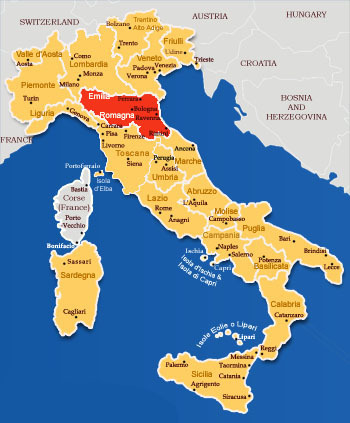 LaVerna, located in the Appenine Mountains at about 3,000 ft. elevation, is in the Emilia Romagna region of Italy which is known for Pavorotti, Balsamic Vinegar, Parmigiano cheese, Ferrari, and some of the best food in the country. Everyone knows everyone's business in LaVerna (well there are only 100 residents during the summer and about half that during the other months). 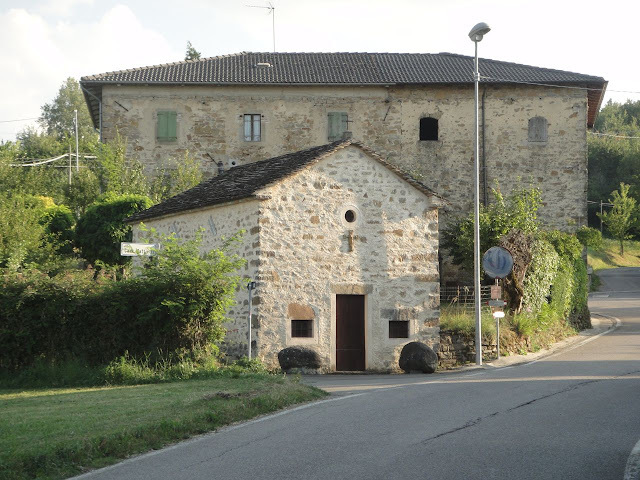 The village even boasts it's own bar and ristorante as well as a tiny church on the corner where the priest does a quick 40 minute mass so he has time to drive to the next village to say the next one. There's a lot to say about this little village, and you'll get bits and pieces of it and it's surrounding areas during the next 3 weeks. But suffice it to say, it's a little slice of heaven. Or, as my husband claims, "E Paradiso!"